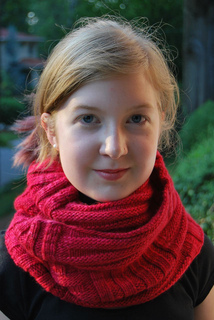 now 2 sizes, notes have been added to make a narrower wrap from just 2 skeins. 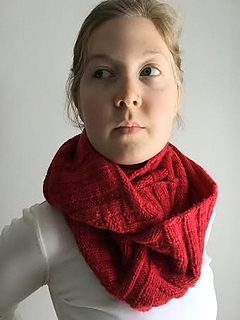 This is really a great wrap- around your shoulders, around your neck once or twice- the pattern is reversible and easy to follow. 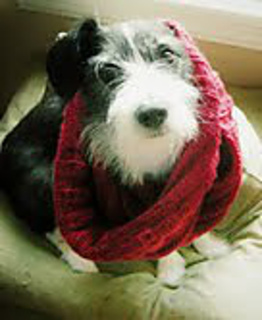 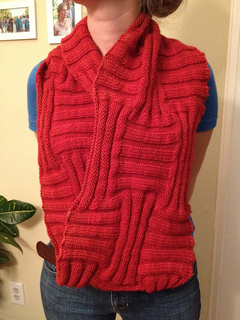 Have updated the pattern to be made from 2 skeins of Malabrigo. 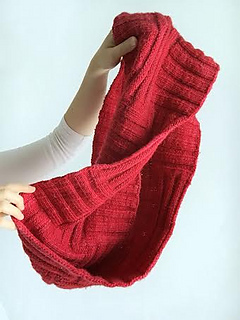 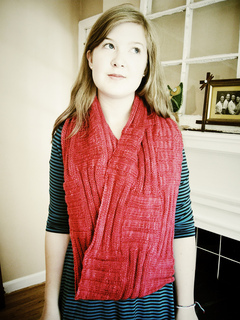 The sample was knit in the color Vermillion.